At Eden End you are assured of a warm welcome and good quality accommodation. We are situated in the village of Hockley Heath, close to Junction 4 of the M42, within easy reach of the NEC, Birmingham International Airport and The National Agricultural Centre (Stoneleigh). Birmingham City centre is approximately 7 miles away and we are a short drive to the historic towns of Stratford Upon Avon and Warwick. 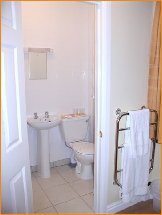 Our facilities include comfortable, well furnished en-suite rooms complete with power showers, colour TVs, tea and coffee making facilities and off road parking. 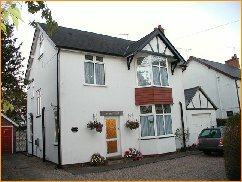 Local Amenities include several pubs and restaurants all within easy walking distance. If you are a golfer we are able to arrange rounds of golf at several local courses, including Fulford Heath , Ladbrooke Park, Kings Norton and Gay Hill.